Nissan has confirmed that it will build the next-generation Qashqai and X-Trail at its plant in Sunderland, despite uncertainty since the Brexit vote. The announcement follows a meeting between Chief Executive Carlos Ghosn and Prime Minister Teresa May. It will secure 7000 jobs in the North East. Most of the cars built at the plant are exported, so the looming prospect of a "hard Brexit", with no access to the European Single Market, cast doubt over the future of the plant. Ghosn said in September that Nissan might not invest in the plant unless compensation for any potential trade tariffs - which may be imposed on UK exports following Brexit - was promised. 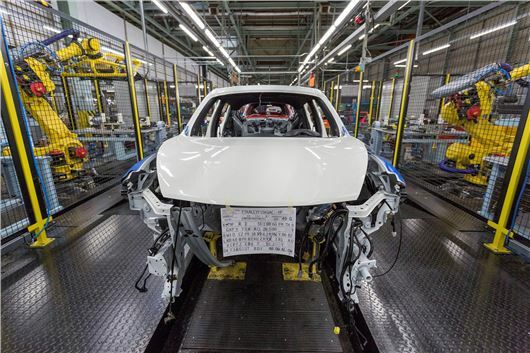 The plant currently builds the Qashqai, Juke, Note and Leaf models, along with Infiniti Q30 and QX30, directly providing 7000 jobs with thousands more elsewhere in the supply chain. Previous models built at the plant include the Nissan Bluebird, Micra and Primera. Whether production of other models aside from Qashqai and X-Trail will continue in the UK in future remains to be seen. Since Nissan has an alliance with Renault, it has various other options outside of the UK for other vehicles. The next-generation Micra, for example, will be built alongside the Renault Clio in France. Carlos Ghosn, Chairman and CEO of Nissan said: "The support and assurances of the UK government enabled us to decide that the next-generation Qashqai and X-Trail will be produced at Sunderland. I welcome British Prime Minister Theresa May’s commitment to the automotive industry in Britain and to the development of an overall industrial strategy." Honda has also voiced its confidence in UK production following the Brexit vote. Katsushi Inoue, president of Honda Europe said: "Brexit will not change Honda's commitment to car production in the UK. Honda has made significant investments in this facility and this next step is an important endorsement of the skills and expertise of our workforce. We’re also setting out a clear and sustainable future role for Swindon, broadening our export markets beyond Europe."